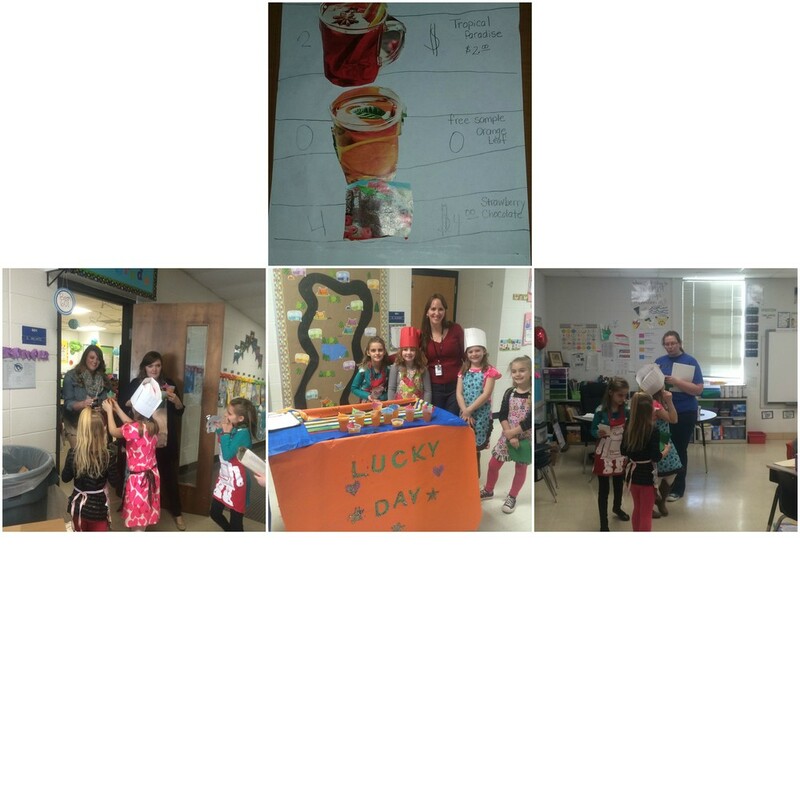 Ms. Addison's class had fun writing their own restaurant menus that included food and drink items. From this learning sparked an interest in making one of the orange drinks from the menu and serving it to teachers in the building. With the help of one of Ms. Addison's students, the steps were described as follows. First, we got some Kool-Aid. Then, we poured the Kool-Aid in there and got some water from the sink. After that, we added sugar and squeezed some oranges inside. Last, we put the umbrella and the mint leave and served to the teachers. The restaurant name "Lucky Day" was given because we wanted people to come to a happy place. Thank you Ms. Addison for giving students this fun learning experience!